Meyer Lemon Trees are prolific producers and is favored for its everbearing trait. By far the Meyer is one of our most popular trees. Not Available in Alaska, Arizona, California, Hawaii, or Texas. Meyer Lemon Trees from Lemon Citrus Tree are not grown from seed, they are grafted from mature trees onto a dwarf rootstock. This allows you to see blossoms and fruit as early as one year old! Our trees are very hardy, of the best quality and have a three-year warranty! You will absolutely not find such a long warranty with any other nursery online. Meyer Lemon Trees are cold hardy in USDA Growing Zones 9-11. If you live in a colder climate, your tree can be moved inside for the winter. Place your tree by your southernmost facing window indoors, and they will still produce fruit prolifically. As the Meyer Lemon Tree matures it will bear larger quantities of fruit. Meyer Lemons are green when they are growing. They will turn yellow as they ripen, which can take several months. Meyer Lemons are much sweeter than the standard (grocery store) lemon. Meyer Lemons are great fruit for juicing and Lemon meringue pie! Meyer Lemon Trees are everbearing, producing blossoms and fruit continuously throughout the year with proper care. Meyer Lemon trees recover fairly easily from pest damage with treatment. They are highly adaptable to environmental changes. 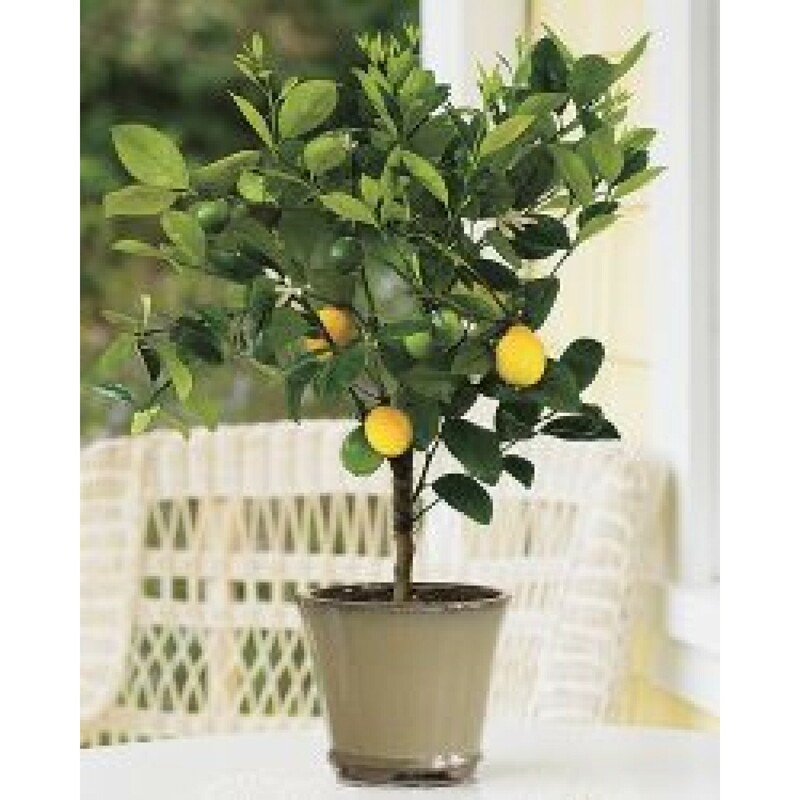 With the proper care, Meyer Lemon Trees are capable of producing fruit for over 30 years! 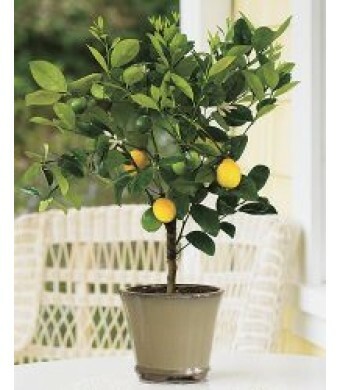 How Do I Select The Best Container For my Citrus Tree? Did I get a Lime Tree? Why is my Citrus Fruit Still Green?! Bugs on Citrus; Friend or Foe? What's So Special About The Meyer Lemon?